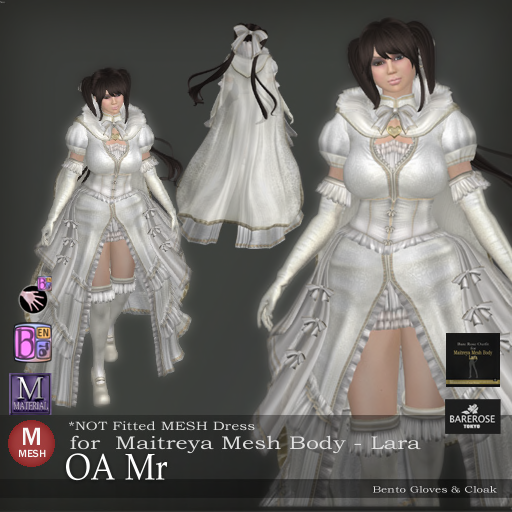 The OA Mr is a MESH dress from Bare Rose which is not fitted, but definitely the addition you want for the Maitreya Body. 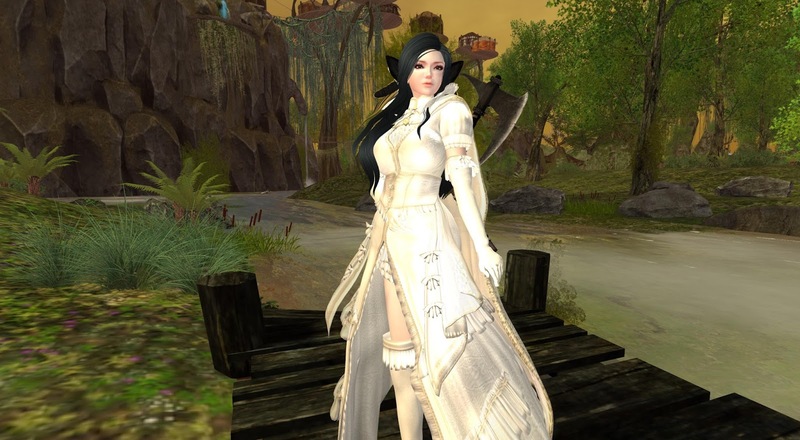 Kitty thinks this is the perfect dress for a Snow White (Combat Ed) roleplay and it looks really white and royally. The full white dress just radiates an aura of purity. It comes with a cute ribbon on the head as well as Bento gloves for you fancy and natural movement of your fingers. Everything you see here is included, except the Battle Axe which is LR and mentioned in a previous post.